If you’ve ever been through a hurricane, you know the panic that can set in when local media warns of an oncoming hurricane or tropical storm. Even if you have two or three days before the full storm is expected to hit, you never know when the rain will start falling and the wind will start blowing. Conditions can go from moderate to severe quickly, so never procrastinate when it comes to preparation. The first hurricane warning is your signal to take action. Hurricane preparation starts with covering your windows with plywood so that they are less prone to shatter. You should also pick up lawn furniture and other outdoor items that may blow away. Not only can you lose these items, but they can cause unnecessary damage to cars and homes. You will need water and food to survive the aftermath of a hurricane. Fill your bathtubs and sinks with water and bottle as much water as possible. Stock up on bread and canned foods. Place coolers with ice in the kitchen so that you can limit opening the refrigerator and freezer. Keep emergency food products and emergency water stored in pouches or boxes on hand for emergencies. Emergency water has a 5-year shelf life. Freeze-dried emergency food can have up to a 25-year shelf life. If you live in an area prone to hurricanes and tropical storms, invest in emergency survival kits which contain emergency food supplies. Look for kits in backpacks or other easy-to-carry containers. 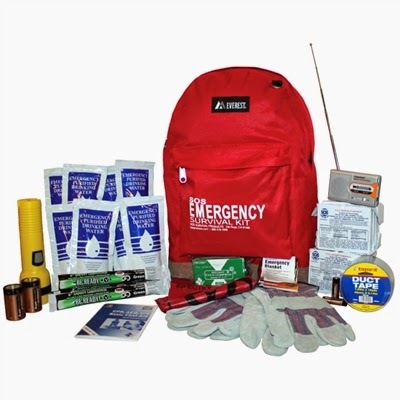 These kits will protect your basic survival needs if you have to leave your home. Simple items like a few LED hurricane lanterns can make surviving a hurricane more comfortable and much safer. Blankets will ensure that everyone stays warm. Moreover, make sure everyone in your household has easy access to running shoes, coats and other things that they may need if you have to leave the home for rescue. If you have a smartphone, download the Red Cross app before the storm hits. This is something you may want to keep on your phone at all times because it can help rescue workers locate you if a natural disaster leaves you trapped, stranded or otherwise in jeopardy. Other apps are available to show you how to perform various first aid tasks. This is especially important when your loved ones are injured and rescue workers cannot reach your home immediately. While you’re preparing your mobile devices, downloading apps for local news stations may give you access to current news if you lose electricity. 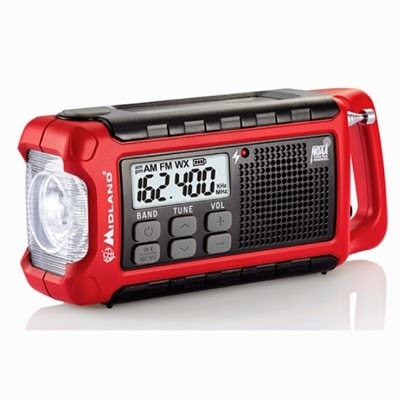 The Emergency All-Hazards Radio/Flashlight includes a cell phone charger so that you don't lose contact with those valuable apps due to a dead battery. Your cell phone gives you the best chance of calling for help or checking on your loved ones during and after the hurricane.